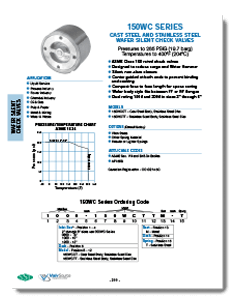 SSI manufactures stainless steel silent check valves that are long-lasting, functional, cost-effective, and are well suited for commercial and industrial use. SSI stainless steel silent check valves are suitable for a full range of steam, liquid, gas & oil, power, pulp & paper, process equipment, chemical, metal & mining and water & waste applications. Single disc stainless steel center guided check valves with wafer body style designed to ASME B16.34 and API 594. 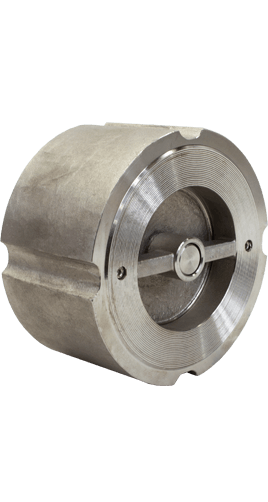 The check valves feature a stainless steel disc and seat, and are center guided from both ends.